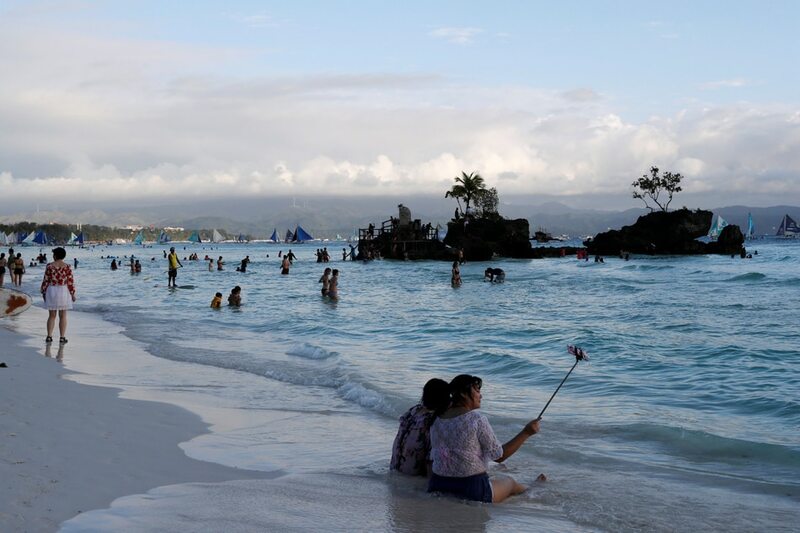 MANILA – President Rodrigo Duterte on Thursday said there is no longer a need for him to issue an executive order (EO) declaring Boracay free from casinos. “No. I’ll just say huwag na lang. Anyway it’s a privilege, whether I put it in writing or say it verbally,” Duterte told reporters in a chance interview. Duterte said the people of Boracay do not want casinos in their place. He added casinos spawn crimes such as illegal drug trading and kidnapping, citing loan sharks’ abduction and illegal detention of people who could not pay their debts. He said he ordered Environment Secretary Roy Cimatu and Interior Secretary Eduardo Año to ban casinos on the island. “If I were the owner of the hotel, I should not be speculating as to what will happen to me if I defy the government,” he said. Duterte’s opinion runs counter to the advice of the Department of Justice for the Department of Tourism to seek an EO from the President making Boracay casino-free. In a letter to Romulo-Puyat dated October 8, 2018, Justice Secretary Menardo Guevarra said the President’s issuance of an executive order would be the “most expedient and effective” means of stopping casino operations on the island. “Based on a review of the applicable law and jurisprudence, this Department is of the opinion that the issuance of an EO would be the most expedient and effective means of halting the operation of casinos and implementing a No-Casino Policy in Boracay,” Guevarra said in a letter. “Anything less than an EO would appear more transitory and would water down the President’s understandably steadfast desire to disassociate Boracay Island with big-business gambling,” he said.